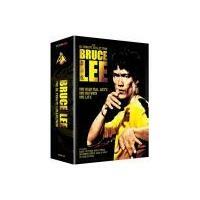 Bruce Lee Box Set - The Ultima..
Bruce Lee Box Set Anniversary ..
Over 6 hours of exceptional footage, produced in collaboration with the heirs of the Bruce Lee Estate: Featuring his best combat scenes, rare footage of Bruce Lee in training including his own technique and adapted martial art - Jeet Kune Do. 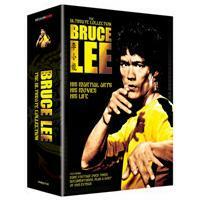 Also previously unreleased footage from his unfinished movie: 'Game of death', personal training, deleted scenes, behind the scenes and interviews with his close family and entourage. Includes - The Intercepting Fist, Jeet Kune Do and Path of the Dragon.